You are currently browsing the Archaeofacts.com archives of Musings for the day Friday, November 23rd, 2018. Feast day here today, delayed from the traditional yesterday, meaning baking for me (love!). 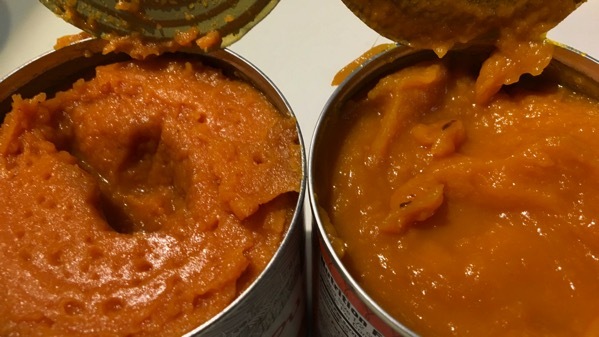 I ended up with two tins of pumpkin in two brands—varied color and very different moisture levels. Mixed together, they made fine pumpkin custard!